AK-47 (AKM) 3 cell magazine pouches. These look like they were never issued, however, they might show some shelf ware. 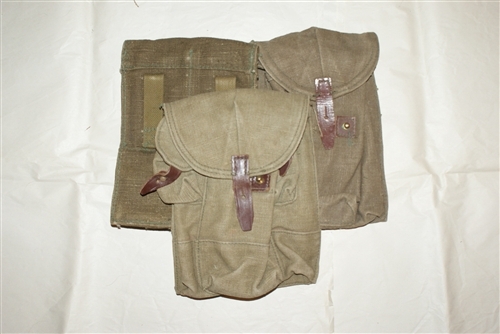 The picture is a representation to give a general idea of what these pouches look like. The style, color shade, leather tabs, will differ. mag pouch is in great shape 2 thumbs up!! !